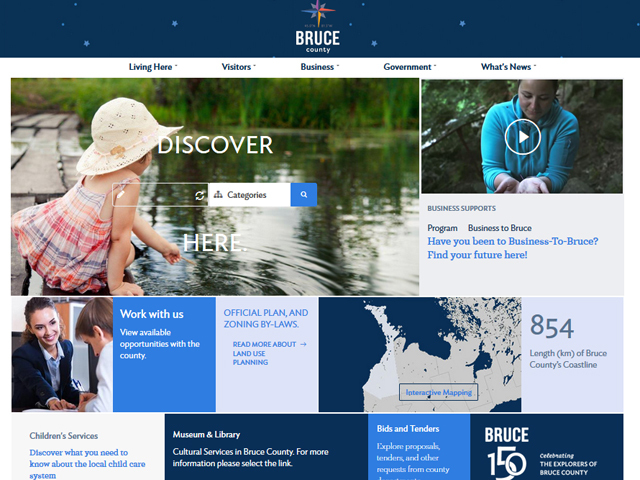 On July 6th the County of Bruce officially launched its new website, brucecounty.on.ca. Submitted by admin on August 4, 2017. 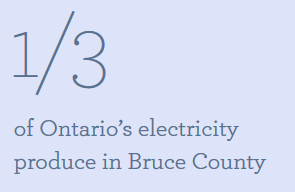 Our museum is the life story of Bruce County - on display, interactive and brought to life through events and learning opportunities year round. Experience our culture and our legacy here. You can also find some brand resources like our various style guides on our media page here. As we constructed the brand we did some research on how the county was perceived and one of the findings that stood out was that the county is unique both in people and in geography. The county is home to an amazing shoreline, the rugged peninsula, and the farmlands of the bread basket area. The site aims to educate users about our unique geography with interactive mapping across the site. You can access our GIS mapping and detailed information on the maps page, but we also have maps of our highways and trails system here, or you can find maps of our landfill sites forests and parks on the environment page. For planning maps, plus zoning and official plan information you can explore our Municipal land use maps and information by visiting the land use section. 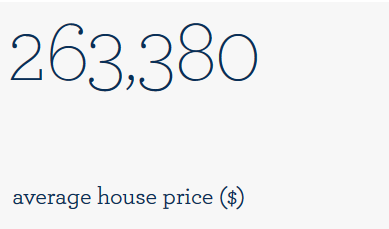 You can learn more about the county and the organization on similar pages: Environment by the Numbers, Museum and Library by the numbers, Agriculture by the Numbers, and more to come. Highlights our strengths of the environment and the natural beauty of the landscape.